I’m a big ripper-off of band-aids, so I’ll start with my ‘low’ of Carol leaving. I haven’t been great about introducing Carol on this blog, but she is a veteran American middle school science teacher from Fairbanks, Alaska who joined me for a month of my field work here in Finland. She was here as a part of the NSF-funded PolarTREC program – a truly awesome initiative that sends American educators out into the field with scientific research teams working in the Arctic and Antarctic. This is a great way to boost public science education from both ends – the researchers are given a crash-course in the ins and outs of communicating with young audiences about complicated topics, and the teachers are given the opportunity to participate in Arctic science research. Win-win. The teachers keep blogs (daily ‘journals’), and do a variety of outreach activities both while in the field, and afterwards. Carol and I actually did a PolarConnect event last week, which was really nice. 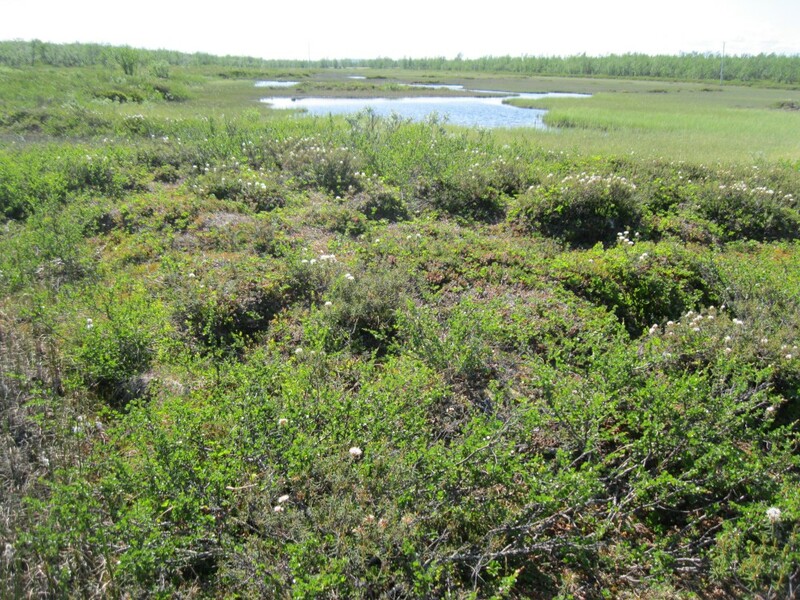 PolarConnect events are international, free, anyone-can-join webinars where field research teams give brief presentations of their work and then field questions from any and all of the participants. I encourage you all to check out this resource, and join one at some point this year! I’m sorry I didn’t send a notice prior to mine actually happening, but you can watch/listen to the one we did here! Carol was diligent about her daily blogging, and there are some really great stories and pictures in her journals. You can access them here. 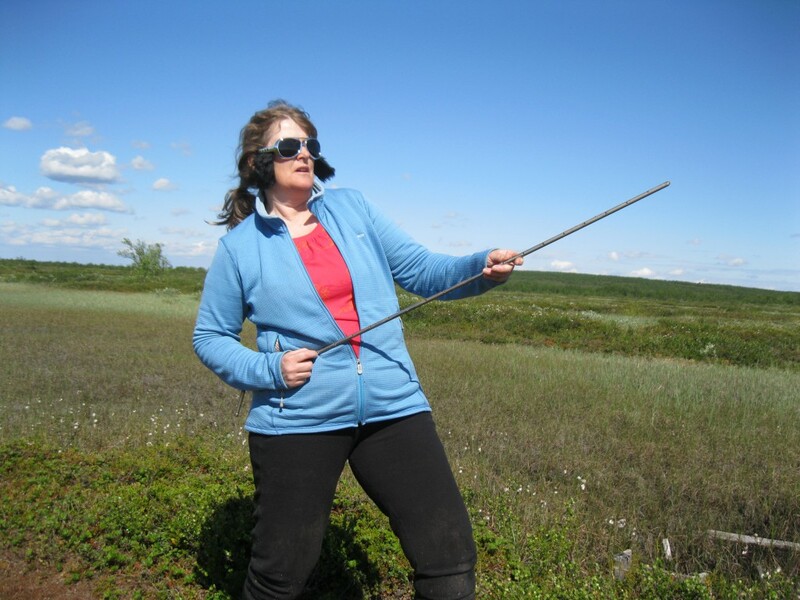 And in case this picture doesn’t make it into Carol’s journals, here is Carol being Elvis while taking thaw depth measurements at the field site on her last field day. These glasses were a PolarTREC teacher orientation joke, apparently (one of them is from Memphis, and gave the glasses to everyone to take into the field). I dropped Carol off on the side of a Norwegian highway (apparently what passes for a bus stop in Norway) so she could go to visit a Norwegian friend prior to returning to Alaska. Her last night we also had a great sauna and spent some time in the laavu (aka: teepee), where Elvis made another appearance. 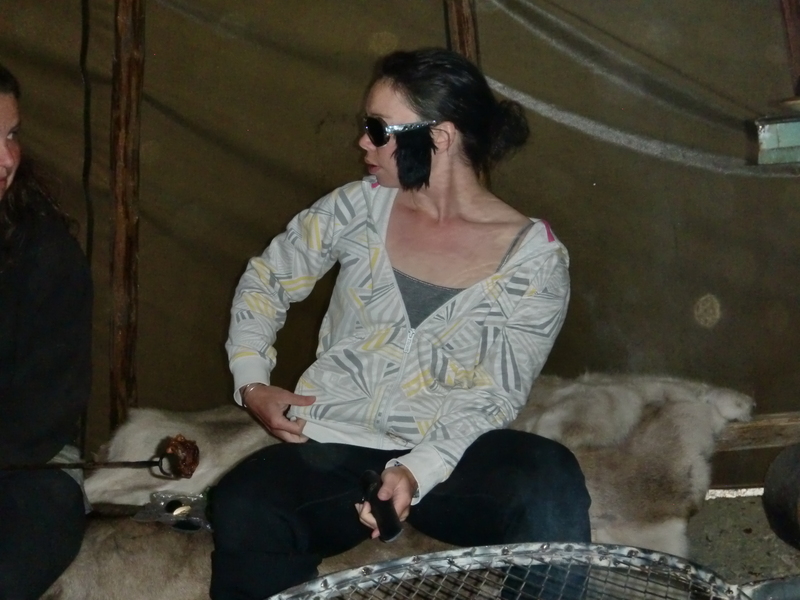 Some magical things happened in the laavu, including eating dried reindeer heart (you can see it on the stick near my right knee in the picture above! 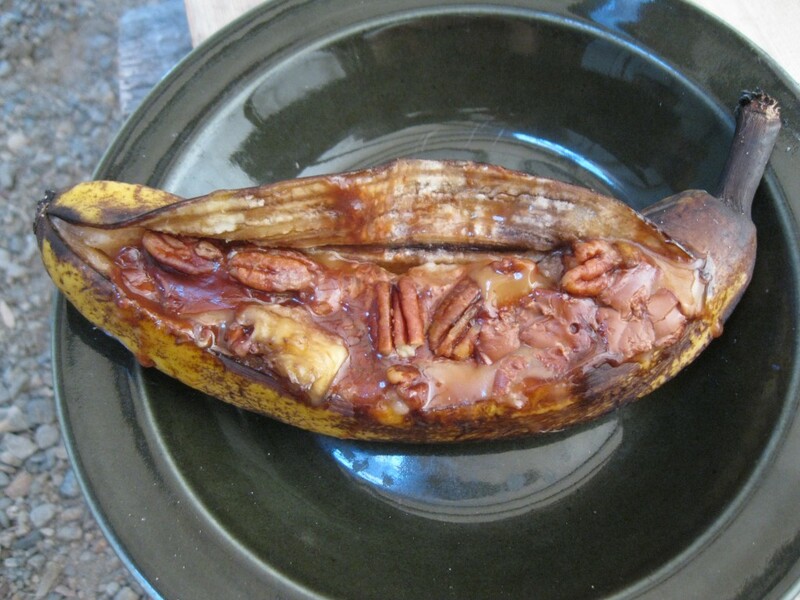 ), and a culinary gem that I will now share: Grilled Chocolate & Nut Bananas. Step 1: cut a slit into a banana, and dig out a small trough of fruit flesh in order to make room for the fillings (this loss of fruit is optional). 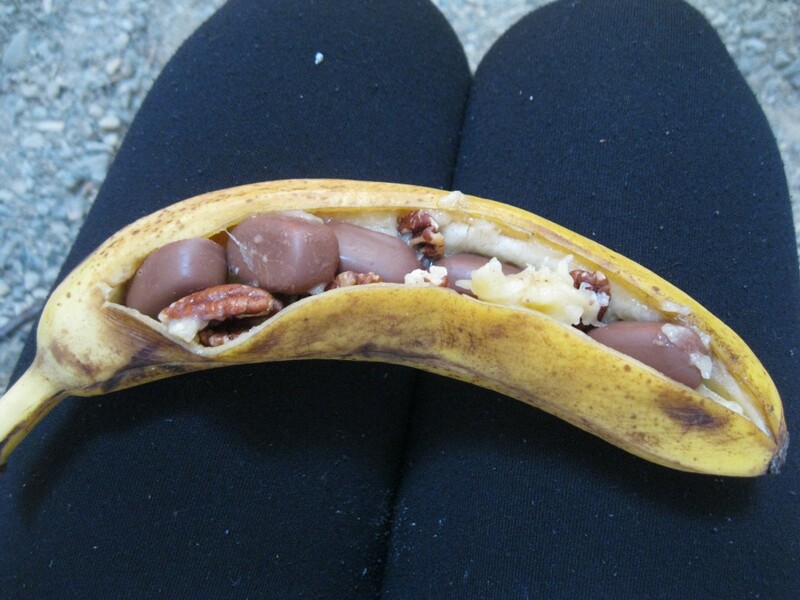 Step 2: shove a bunch of nuts and chocolate into the banana. I went for chocolate-covered caramel candies and pecans. Step 3: manhandle the banana peel back into as close as you can get it to closed, and tightly wrap in foil. Step 4: Grill it for 15 minutes, or until you can feel the banana is really soft, and all the chocolate and fillings are melted. 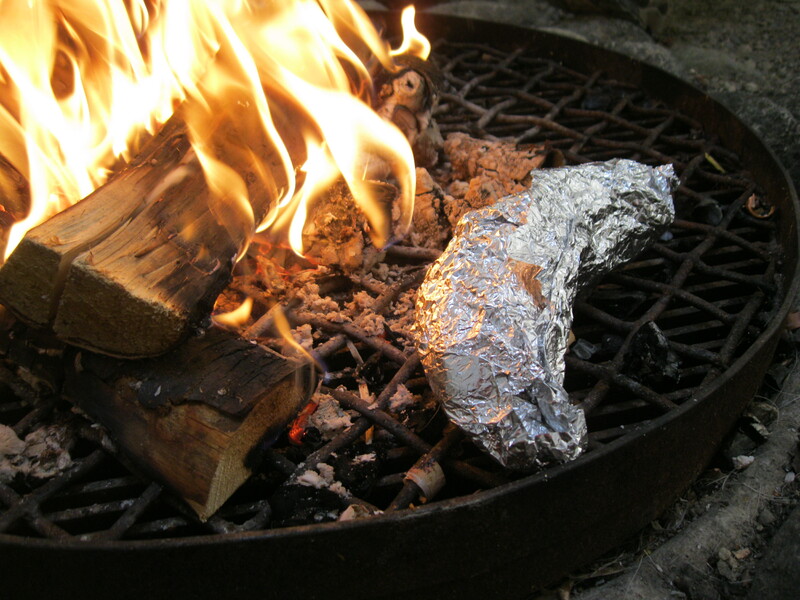 Step 5: Enjoy your cheap, easy, fabulously yummy campfire treat! One of the great things about the last month here was the green-up. As a native Texan unused to multiple seasons, the gentle yet dramatic shift from winter to spring to summer in northern systems is really awe-inspiring. 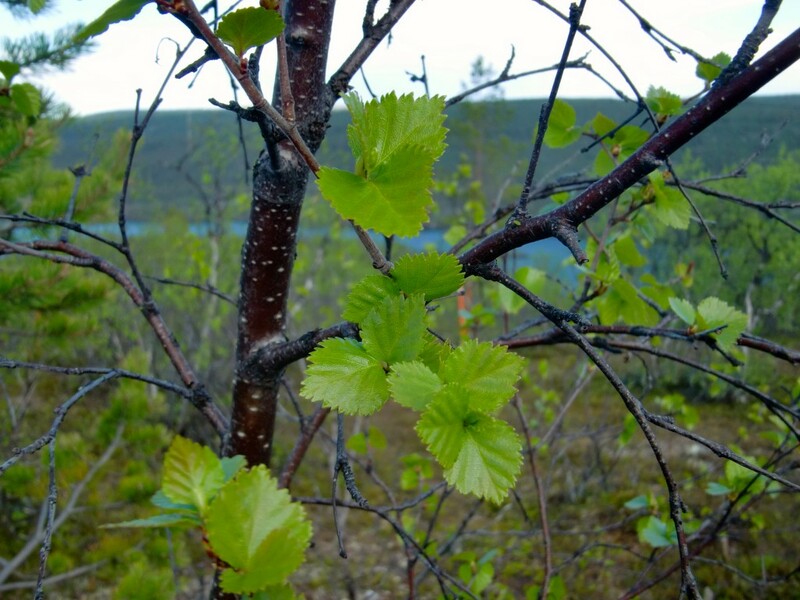 I wish that I’d thought to do something like a time-series photo project with the birch forest bud burst, but like I said, I’m not really used to seeing this kind of transformation. The final product – green fields and forests awash with small flowers – is beautiful. 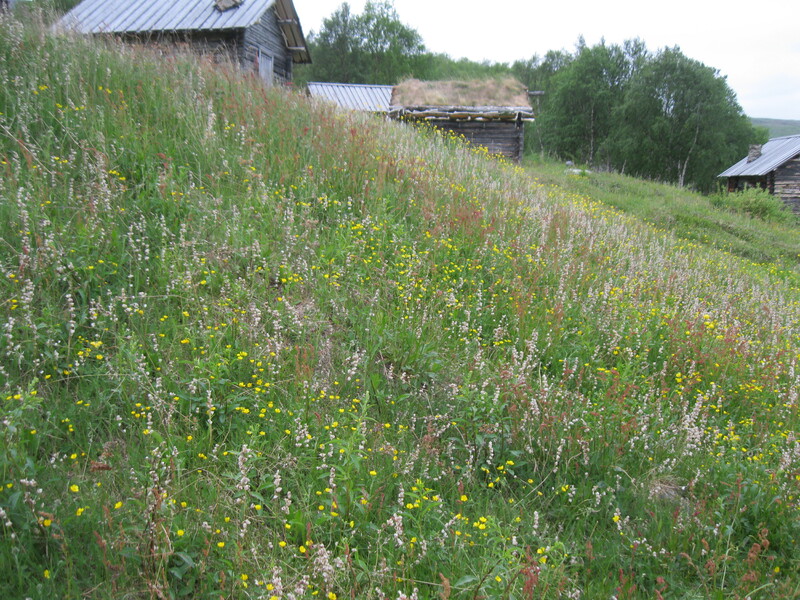 Like normal, I’m running out of adjectives for how pretty Finland is. 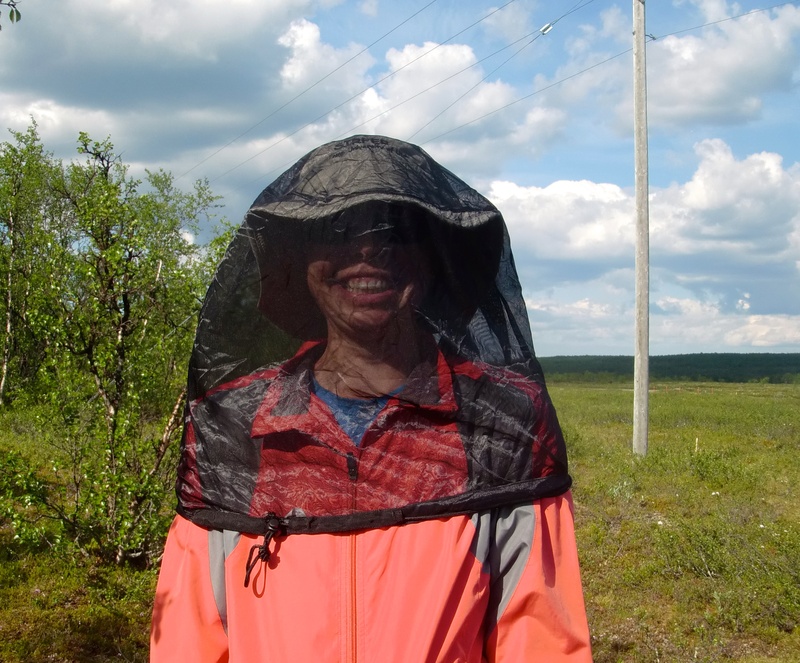 It’s actually been so warm here this last month (record-breaking heat wave, in fact), that all the plants and bugs are almost a month early, necessitating super-attractive protective gear. 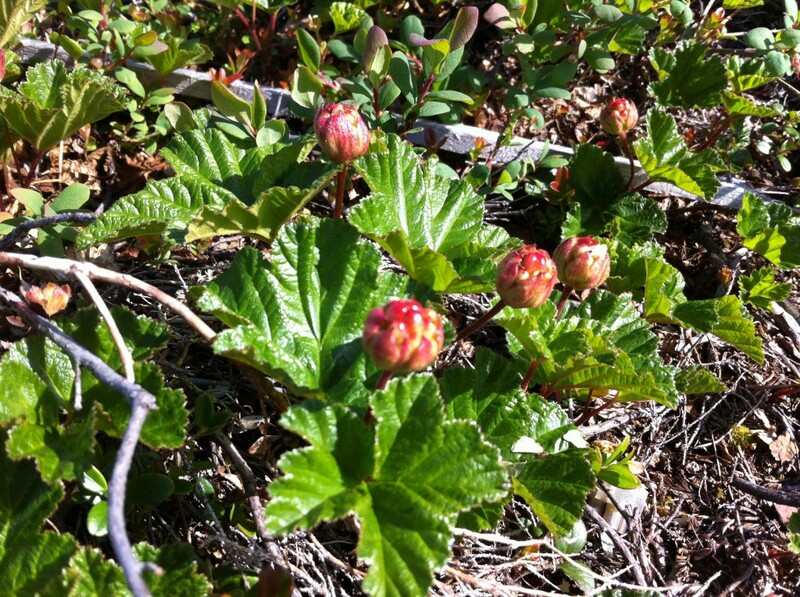 The mosquitoes I wouldn’t have minded waiting another month before having to endure, but we found these already-visible Arctic cloudberries at my field site last week, so the phenological shift may just be worth it…. Other bonus is that I have emerged from the PO, international customs, and Finland-based courier service gauntlet and finally received my laser! 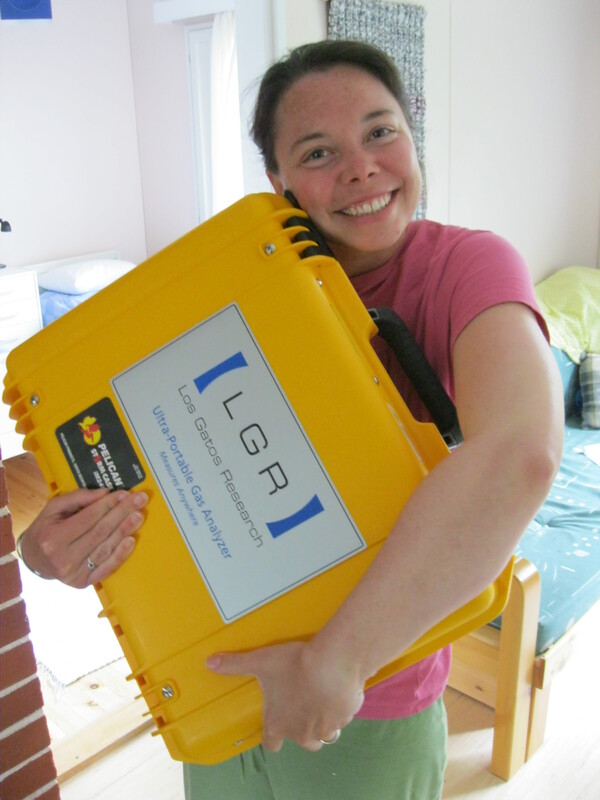 This is the long-awaited LGR Ultraportable Greenhouse Gas Analyzer (which I will forever after refer to as ‘the UGGA’, or even just ‘the LGR’), which I am renting for the summer field season. This brilliant piece of field analytic equipment uses a pump + laser to analyze gas emissions for concentrations of CO2, CH4 and water vapor (the 3 most abundant greenhouse gases). It does this instantaneously, and so means that I can double my spatial replication in my field site. 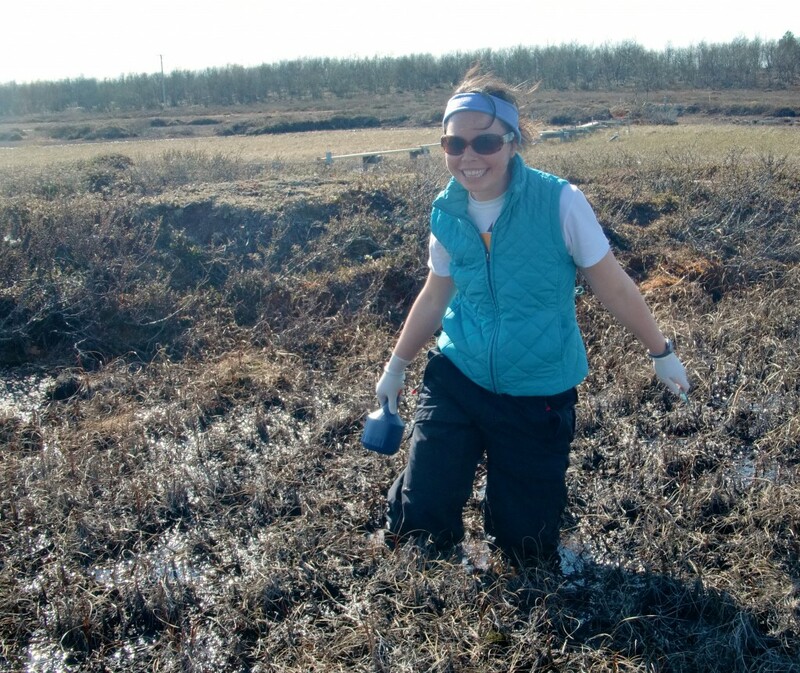 It also means that I can afford to do field work as often as every day of the week. It’ll probably turn out to be more like 4-5 field days a week, but that’s far better than the 2 days a week I’ve been managing with vial measurements. I’ll do a UGGA-centric post soon, but just the arrival is a momentous occasion that deserves celebration. Yay!! And more personally exciting, Brandon has returned to Finland. I picked him up at the Ivalo airport on Monday afternoon, and drove him 2 hours farther north up to Kevo. He was exhausted after 2 days of travel, but still adorable. I have high hopes for how much fun we will have during the next two months here at Kevo together. He keeps insisting he has a book to write, or some such nonsense….